The Kirchner Museum Davos offers visitors an extraordinary opportunity to experience works of Ernst Ludwig Kirchner in the very place they were created. Davos and its environs inspired him to produce a large number of major works. 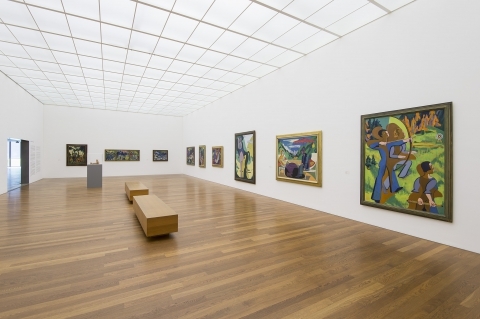 The Kirchner Museum continually presents varied ensembles of key works from its extensive collection. In addition, it stages temporary exhibitions that highlight either particular aspects of the work of Kirchner and other major artists of the classical Modern period or currents in contemporary art. Hans Danuser (b. 1953) is one of the most important Swiss artists of the present. As early as the late 1990s, he gained international renown with his spectacular series of photographic works. From November on, the Kirchner Museum Davos presents for the first time the complete “The Mount Fuji of Davos” photo series based on his “one million pound project,” matography. Inspired by the view of the striking avalanche barriers on the Schiahorn mountain above Parsenn. 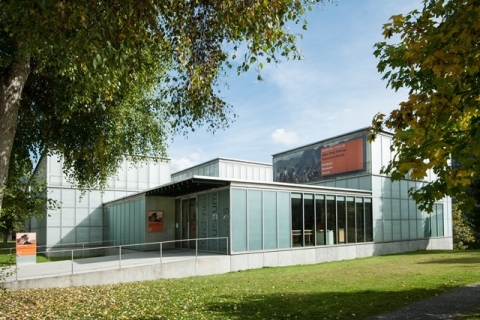 Das Kirchner Museum bietet Audioguides in den Sprachen D, F, I und E an. 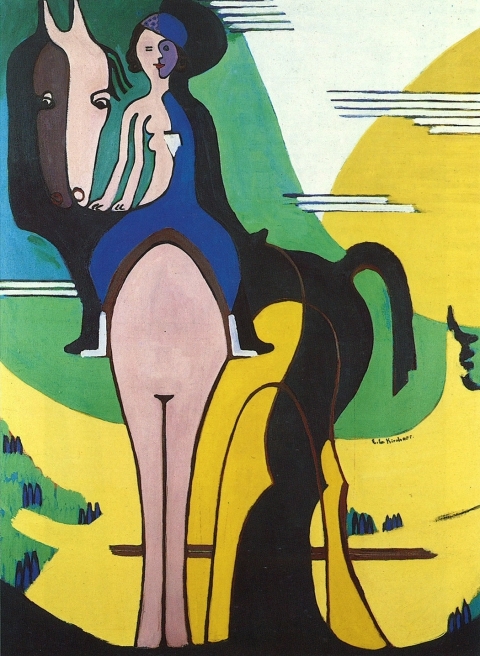 Ernst Ludwig Kirchner was definitely not a big traveller. Because of this, Kirchner had to count on people to take the journey to him in Davos. The exhibition focuses on these visitors. Kirchner made it a ritual to photograph his visitors in front of a window of his “Wildboden” residence, subsequently creating numerous portraits in a wide range of techniques. The presentation includes works from all creative periods with a focus on the Davos years. By car From Zurich: motorway A3/A13 (green signs) in the direction of Chur to Landquart. From Landquart change to cantonal road 28 to Davos. In Davos follow the Promenade (main road) to Davos Platz. Turn left about 300 m after the Congress Centre (sign: Parkplatz Kirchner Museum). The car park is just behind the Davos skating rink. By Train/railway To the stations Davos Dorf or Davos Platz. From Davos Dorf by bus to the bus stop Sportzentrum/Kirchner Museum Davos, then walk back about 50 m to the museum. From Davos Platz the museum is a 10-minute walk. First towards the town centre, then over the Promenade in the direction of Davos Dorf. You reach the museum after about 800 m.
Tue - Sun from 11 a.m. to 6 p.m., Monday closed.